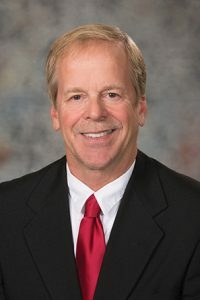 LB19, introduced by Albion Sen. Tom Briese, would withhold from the public record all first reports of injury to the Workers’ Compensation Court. Briese said the reports typically contain the name of the injured, the name of the employer and the nature of the injury. • a nonprofit organization for the purpose of sending condolences to, providing memorials for and offering grief counseling in the event of an employee’s death. The court would disclose the report if it is requested for use in a state or federal investigation. Kathy Siefken, representing the Nebraska Grocery Industry Association, spoke in support of the bill. Everyone wins when legislation like LB19 is passed, she said, because it allows the system to work as it was intended. “Withholding first-injury reports from the general public with appropriate exceptions gives employers a chance to work with employees to establish a plan that provides appropriate care and a plan to help them get back to work as quickly as possible,” Siefken said. Opposing the bill was Dennis Crawford, representing the Nebraska Association of Trial Attorneys. He said the bill would infringe on the First Amendment rights of small businesses that use direct-mail advertising to offer legal services to injury victims. Susan Martin of Lincoln also opposed the bill. Not all employers look out for the best interest of their injured employees, she said, making legal advice necessary to navigate the complex workers’ compensation system. “Workers’ compensation is extremely complicated to comprehend and the typical average worker cannot begin to understand their rights and instead they get lulled into thinking their employer will lead them through the oftentimes nightmarish situation,” Martin said. The committee took no immediate action on LB19.